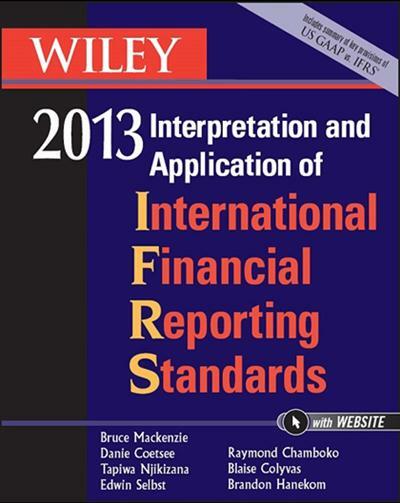 Wiley IFRS 2013: Interpretation and Application of International Financial Reporting Standards | Free eBooks Download - EBOOKEE! Posted on 2013-12-02, by ebooksfree. As the International Accounting Standards Board (IASB) continues towards its goal of a set of high quality financial reporting standards and makes significant strides in achieving global convergence of accounting standards worldwide, International Financial Reporting Standards (IFRS) continue to be important to the accounting world. Wiley IFRS 2013 provides the necessary tools for understanding the IASB standards and offers practical guidance and expertise on how to use and implement them. Written by a world-class team of authors active in IFRS consulting, training, working with multinational listed companies, public sector entities and SMEs, Wiley IFRS 2013 is an indispensable guide to IFRS compliance. And see inside the book for full details on how to download the entire book as a free ePDF, for quick searching and checking on your computer wherever you are. No comments for "Wiley IFRS 2013: Interpretation and Application of International Financial Reporting Standards".